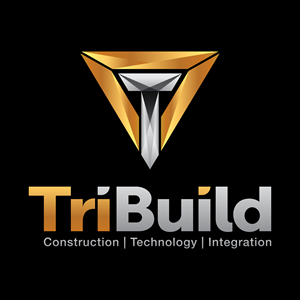 Broomfield, CO / San Diego, CA, April 02, 2019 (GLOBE NEWSWIRE) -- Broomfield, CO / San Diego, CA April 2, 2019 / – TriBuild, Inc., a provider of software-as-a-service (SaaS) solutions for the construction industry, today announced the release of TriBuild Layout Design, a layout data preparation software for popular Autodesk tools, AutoCAD and Revit. TriBuild, Inc. is a provider of software-as-a-service (SaaS) solutions for the construction industry. TriBuild’s solutions are designed to help specialty trade contractors meet the growing demand for construction services by empowering them with new technologies and work flows that increase accuracy, boost productivity and optimize profitability. Contractors identify critical locations to lay out on a jobsite by creating points at these locations on the building design which are then uploaded to a field controller for performing layout. This data preparation is critical to the success of field layout and the overall success of the project. Common locations for layout are hangers, sleeves, equipment, centerlines, footers and walls. By creating points at these locations, field layout crews are provided clear direction on what work needs to be performed. “Automated point creation tools in TriBuild Layout Design and the fact that users create points directly in their Autodesk design application, are proven to help contractors improve their overall workflow in preparing data for layout”, said Rob Miller, Director of Field Technology of TriBuild. “By allowing contractors to work directly in their design application, they benefit from not having to worry about issues resulting from compatibility of file formats. We feel this integration within a contractor’s current workflow is important,” added Rob. TriBuild Layout Design is available for contractors who use AutoCAD or Revit (versions 2016-2019) and can export data to all the popular instrument manufacturers including Trimble, Hilti, Leica, Topcon and Sokkia. TriBuild Layout Design is a software-as-a-service (SaaS) offering offered with a 30-day free trial available for download from the TriBuild website. “The release of TriBuild Layout Design follows only a few weeks after our announcement of the launch of our Construction Management business. TriBuild Layout Design is further fulfilling our mission to optimize and synchronize the workflow of construction by creating deeply integrated technology solutions,” said Pat Bohle, Co-Founder and CEO of TriBuild.